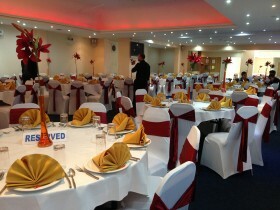 Venues can provide chairs but they can’t always provide the ideal chair cover and sachet combination. 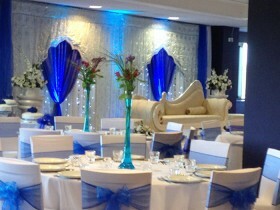 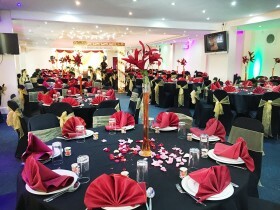 For any event from Mehndi, Weddings, Parties and Corporate Events, we can deliver and set up chair covers and sachets depending on your requirements. 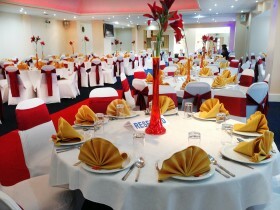 Whether it be a small event to a large event, we have freshly laundered chair covers in different colours as well as sachets in different designs to enhance your event and eye appeal from your guests. 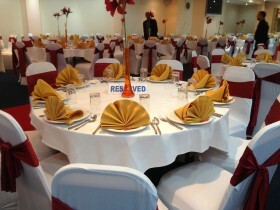 This service item is a must have for any formal event which you are wanting to hold.